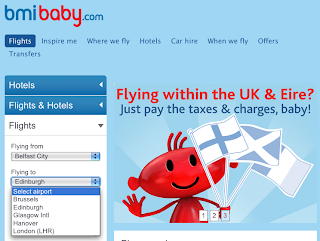 bmibaby have long included older brother BMI’s Belfast City / Heathrow route in their booking system. 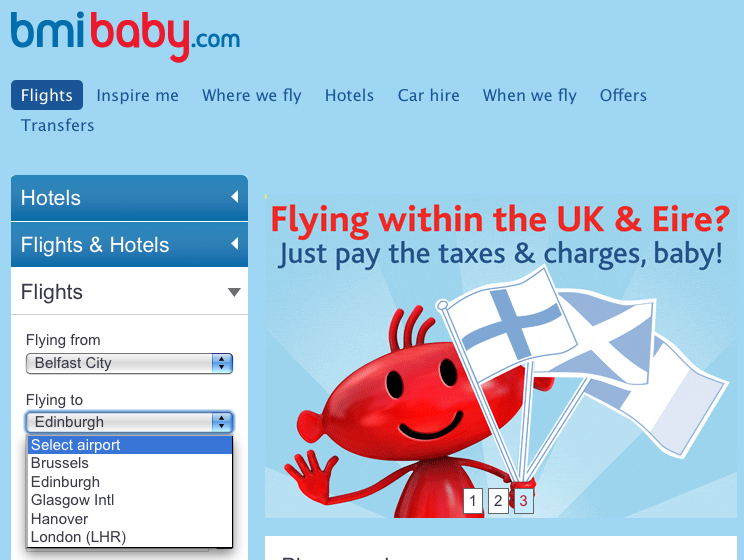 However, trying to book flights from the harbour airport to Edinburgh or Glasgow on the bmibaby website, even for dates well into the future, sends you to Hanover via Heathrow and not Scotland! Belfast City Airport are making an announcement on Thursday morning about a new airline that will be starting operations in the near future. However, since they’re denying that bmibaby is the new “arrival”, the website oddity will have to be put down to faulty configuration on bmibaby’s website rather than a schedule announcement that hasn’t been fully programmed end-to-end through bmi group’s IT systems. So if bmibaby aren’t coming, then it’ll either have to be a small airline or a charter firm going no further than southern France or Spain. Update - bmibaby announced that they're moving their entire NI operations to Belfast City Airport, with flights starting on 10 January.